When your neighbor has a Napoleon grill, it's only natural to feel envious. The refined craftsmanship and chef-inspired innovations are bound to tempt even the strongest-willed men. This TV spot plays into that desire with an unexpected, humorous twist. To leave a lasting impression, close-up views of features like the SIZZLE ZONETM show how Napoleon delivers an extraordinary grilling experience. Engineered performance and masterful design is but half of what the Prestige PROTM Series is all about. 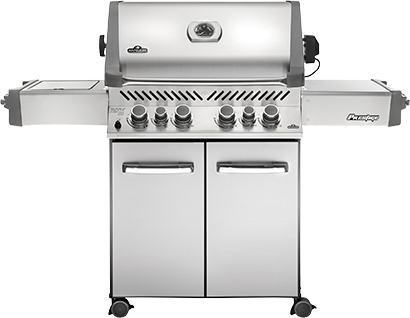 Chrome accents and full stainless steel construction create a beautiful grill. This grill has everything. 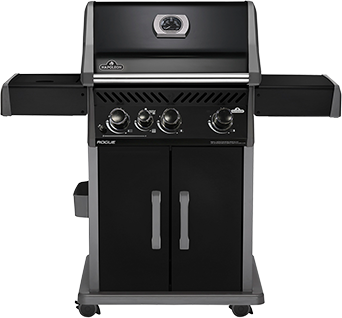 Prestige® Series Gas Grills have the total package. A cart model grill by Napoleon with the capabilities of a full outdoor kitchen. 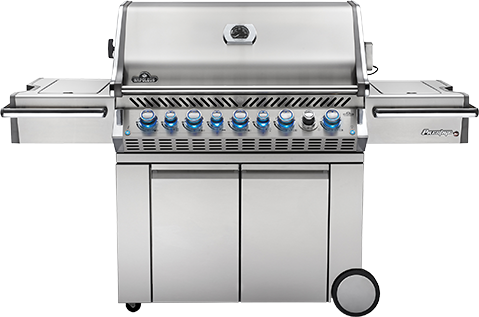 Use up to eight different grilling styles with a Prestige® Series Gas Grill, including slow grilling and smoking, and barbecue up to 31 x 4"x4" burger patties over the main burners. This sleekly designed tabletop patio heater is both portable and easy to use. With its 10,000 BTUs, you can be sure you and your guests will be able to enjoy an extended time outdoors. Uses a 1lb propane bottle. There is something to be said about gathering around a roaring fire. 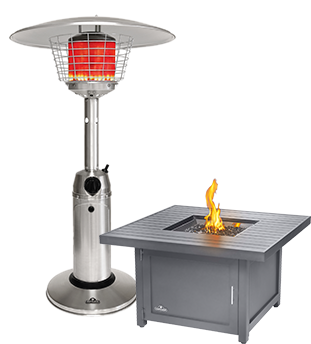 With a Napoleon Patioflame® Table or Patioflame® you can have the campfire/fire pit experience in your backyard without the mess and work, or regulations, of a real wood fire. 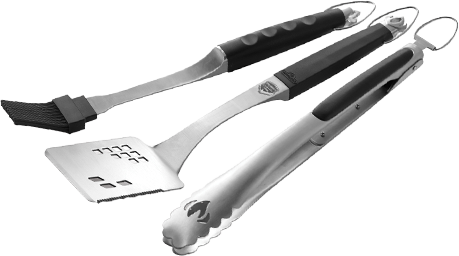 From covers, to tools, smoker accessories, to maintenance, Napoleon has the grill accessories to take your barbecuing to the next level.